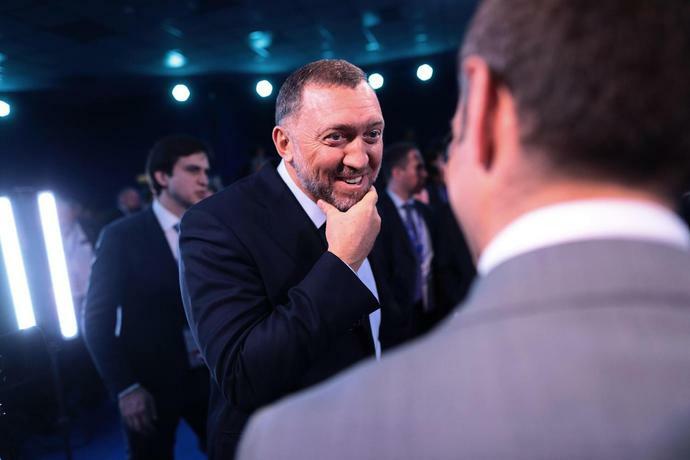 (Bloomberg) -- The U.S. Treasury Department on Sunday lifted sanctions on three firms tied to Russian tycoon Oleg Deripaska, including United Co. Rusal, a move that will provide relief to the global aluminum market. Deripaska, an ally of Russian leader Vladimir Putin, will remain under U.S. sanctions, and his property will remain blocked. But the Treasury Department is removing restrictions on Rusal, EN+ Group Plc and EuroSibEnergo JSC. "The companies have also agreed to unprecedented transparency for Treasury into their operations by undertaking extensive, ongoing auditing, certification, and reporting requirements. All sanctions on Deripaska continue in force," the Treasury's Office of Foreign Assets Control said in a release. In a separate statement, EN+ announced the addition of seven independent directors to its board, as well as a securities swap with Ivan Glasenberg's Glencore Plc. Under the deal, the London-listed commodity trader will get global depositary receipts representing 10.55 percent of EN+'s enlarged share capital in exchange for its existing 8.75 percent stake in Rusal. Congressional Democrats has tried to block the action, citing concerns about the Trump administration's motives at a time when Special Counsel Robert Mueller is continuing his investigation of Russia interference in the 2016 presidential election and possible connections to the Trump campaign. Sanctions relief for Rusal, the world's second largest aluminum producer, will remove a source of uncertainty from the aluminum market. Prices surged in April when Treasury announced the financial restrictions. But prices tumbled in recent months on speculation that the Rusal sanctions would be lifted. Deripaska's agreement with Treasury, negotiated over eight months, includes cutting his direct and indirect share ownership below 50 percent in each company, overhauling the boards of En+ and Rusal, and "committing to full transparency with Treasury by undertaking extensive, ongoing auditing, certification, and reporting requirements," the department said in December when announcing its plans to remove the sanctions. Rusal is among the largest companies the U.S. has ever put on its sanctions designation list. The value of the aluminum producer has declined by more than half from $9.2 billion more than eight months ago.